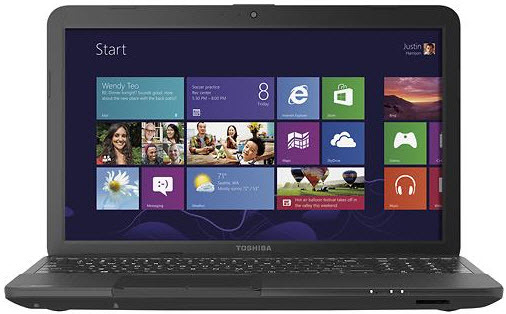 Good news, Best Buy now promotes the Toshiba Satellite C55D-A5208 15.6″ Laptop w/ AMD Quad-Core A6-5200, 4GB DDR3, 500GB HDD, Windows 8 for only $329.99 + free shipping! 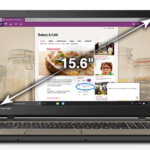 Our price research indicates this is now the best price we could find for this laptop, we save at least $50 compared to the next best available price in the market, so I think it's a pretty good deal. 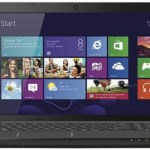 The Toshiba Satellite C55D-A5208 highlights an AMD Quad-Core A6-5200 Accelerated Processor, 4GB DDR3 memory (16GB max. 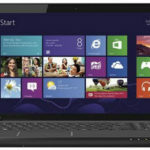 ), 500GB Serial ATA hard drive (5400 rpm), a 15.6″ LED-backlit TFT high-definition widescreen display at 1366 x 768 resolution, and AMD Radeon HD 8400 graphics. Other features include: Built-in high-definition webcam with microphone, Multiformat DVD±RW/CD-RW drive with double-layer support, Multiformat media reader, 802.11b/g/n WiFi, 1 USB 3.0 port and 2 USB 2.0 ports, and 6-cell lithium-ion battery. 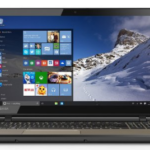 The laptop is running on Windows 8 64-bit operating system. You see, such a configuration is good enough for our daily use, people are very happy with it. 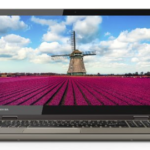 So if you need a super affordable 15.6″ laptop for daily basic use, I think the Toshiba Satellite C55D-A5208 could be an ideal choice now. What do you think about it?